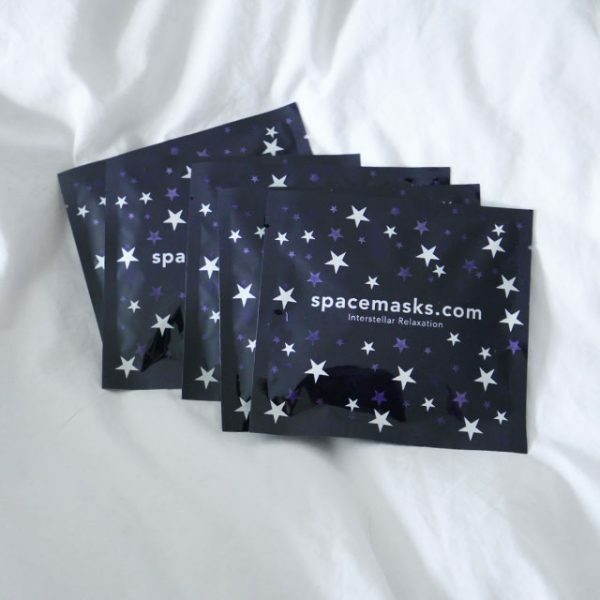 5 perfectly formed pouches, each containing a heavenly Spacemask – capable of whisking you away to a carefree world, unpolluted by earthly distractions …. Powernapping offers many benefits …. and what better way to relax than with a warming Spacemask!? These eye masks heat up on contact with the skin and send you off into relaxation with the soft scent of Jasmine working its magic …. Perfect for those needing to re-fuel during the day or drift off to sleep at night; quiet your mind as you ease tension and rest your tired eyes …. soft elastics sit gently around your ears to keep the mask in place …. Perhaps your baby is napping and you need a moment? You might be practising your hypnobirthing relaxation techniques … so why not stick a mask on ….! The perfect ‘just because’ gift or simply part of your own self care promise ….